Experienced lawyers know that the physician or surgeon probably comes in to any jury case with a head start (my emphasis). 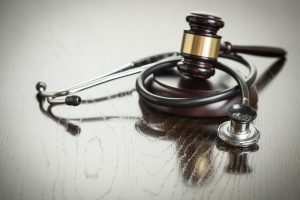 The average citizen who sits on a jury will be more favorably inclined toward the defendant doctor, and generally toward a hospital defendant, than toward the person who has taken it upon himself to bring the suit. This important asset in a jury trial should never be overlooked, lest it be lost through ignorance or careless handling. Reasons for this basic sympathy for the defendant doctor are not hard to find. The typical juror will feel that he has owed his life, on some occasion, to a doctor’s care. The average parent would still be proud to have his son be a doctor. These factors of jury sympathy will favor defendant doctors as long as the medical profession cares for the sick and injured. This is all true and I’m not even mad about it. It is not the worst thing that we like and respect doctors. It is not the worst thing that they have this “head start” when a case begins. If I’m taking a case, I believe we will present the facts to get us past the doctor’s advantage. We turn down so many jump ball cases where we think the doctor did something wrong but we just do not believe we are going to have a chance of proving it. Juries always decide jump balls for the doctors absent some compelling circumstances. So fine. But do we really have to hear the doctors lobbyists’ crying to the Maryland legislature every year about “jackpot justice” and all of that nonsense? This article makes clear that the truth is we are only going to get doctors who muck up pretty bad. The close calls go to the doctors. Yet they demand — and have gotten — special tort laws and caps on damages that apply just to medical malpractice cases. Is a Malpractice Trial a Criminal Trial? “Despite the attempts of plaintiff’s attorney to talk around it…” I love this line. Like telling jurors to follow the law is talking around it. Winning a malpractice case is hard even when you have the facts on your side. This lawyer is telling his defense lawyer brothers in arms just that.